Force whistleblower cases into a special court. The bill amends Section 2302(a)(2)(C) of title 5, United States Code, to exclude the Federal Bureau of Investigation, the Central Intelligence Agency, the Defense Intelligence Agency, the National Geospatial-Intelligence Agency, the National Security Agency, the Office of the Director of National Intelligence, and the National Reconnaissance Office and any other agencies in the intelligence community, as determined by the President. The bill was introduced today in the House Oversight and Government Reform Committee. A number of prominent civil rights groups and advocates are demanding that immediate changes are made to the legislation. They strongly oppose damaging provisions of the bill, including “summary judgment” powers it seeks to grant to the Merit Systems Protection Board (MSPB). Such a move would further jeopardize any chance of recourse for whistleblowers, since the MSPB is known for ruling against whistleblowers in about 98% of cases. This beleaguered agency already serves as the government’s hatchet-man in dealing with aggrieved whistleblowers. The MSPB would undoubtedly use the power of summary judgment to dismiss the majority of whistleblower cases without a hearing, causing Appellants to incur additional expenses and delaying the resolution of employment litigation. In a strong letter to Congress, civil rights advocates stated in relevant part, “When Congress conducted hearings on the current Whistleblower Protection Enhancement Act (now introduced as S. 743), no record whatsoever was created to justify reversing the 1978 law. Not one witness had the audacity to come before the House or Senate to justify using an Enhancement Act as a Trojan horse to undermine whistleblower rights by implementing the long-discredited attempt to empower the MSPB to summarily dismiss whistleblower cases on the basis of management affidavits. Despite the lack of a record, opponents of whistleblowers used back-door channels and snuck this provision into the S. 743. 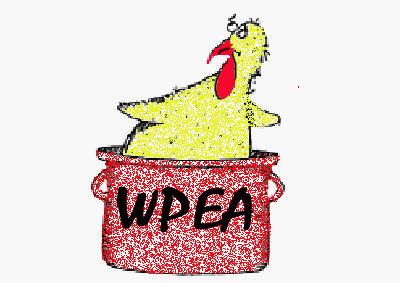 No whistleblower advocacy group has ever gone on the record supporting this “reform”… It is disingenuous to refer to a law as an “Enhancement Act,” while at the same time significantly undercutting rights federal employees have had under the WPA for 33 years. The summary dismissal provision contained in S. 743 is a major rollback on existing protections and will undermine the practical effectiveness of many of the positive reforms contained in S.743. This provision must be cut in its entirety.” (Emphasis added). Denial of jury trials for whistleblowers is another troubling setback. American juries are entrusted with making life and death decisions, so why is our government so determined to keep them from deciding whistleblower matters? The answer is simple – powers that be don’t want our juries to hear shocking tales of corruption, government incompetence, waste, fraud and abuse. Most of all, they don’t want members of the jury to hear anything about grotesque forms of retaliation utilized against whistleblowers, including malicious prosecutions and warrantless surveillance. These abuses would be sure to inform and alarm our citizenry, since large segments of the population have been lulled into the false sense of security by the mainstream media. All of those cases the government is winning in the kangaroo courts of the MSPB would have a much different disposition in a trial by jury. The House Committee on Oversight and Government Reform plans to hold a markup of the bill on Thursday, November 3, 2011. The NWC has issued an Action Alert, calling on all Americans to contact their Representatives and ask them to fix the bill. We must remember: what is happening to whistleblowers is a testing ground for what may be perpetrated against all American citizens. Remember the timeless words of Frederick Douglass: “Those who profess to favor freedom, yet deprecate agitation, are men who want crops without plowing up the ground. They want rain without thunder and lightening. They want the ocean without the awful roar of its many waters. This struggle may be a moral one; or it may be a physical one; or it may be both moral and physical; but it must be a struggle. Power concedes nothing without a demand. It never did and it never will.” We owe it to ourselves to demand justice and accept nothing less. Take action now! Protect whistleblowers, so that they may continue protecting our nation.